Heavy metal growing a foothold in Afghanistan? You are at:Home»Afghanistan»Heavy metal growing a foothold in Afghanistan? I was embedded with Marines in Afghanistan this spring when a member of the Afghan National Army walked up at a small outpost and pointed to the thumb drive plugged into my laptop computer. “Can I have it?” he seemed to be asking. Considering the drive had many of the photographs I had taken while on patrol that day in Kajaki district with 1st Battalion, 8th Marines, I was hesitant to turn it over. A corporal explained that the Afghan didn’t want the actual drive, but was hopeful there was American music on it that he could try. The Marines and Afghans had been sharing music with each other for months, the Marine said. Apparently, that’s a sign of the times. “We live under the constant fear of sudden death,” says Qasem Foushanji, guitarist with “District Unknown”, one of a handful of bands to emerge with mentoring from Afghanistan’s first school of rock, which opened in May. The thumping, heavy metal rock and aggressive lyrics which reverberate within the sound-proof walls of Kabul’s “Sound Centre” music school allows young Afghans to vent their anger at the violence they have witnessed during years of war before and after the September 11, 2001, attacks in the United States. The District Unknown song “The Beast” has lyrics like: “I scream loud and harsh; For you to run away”. 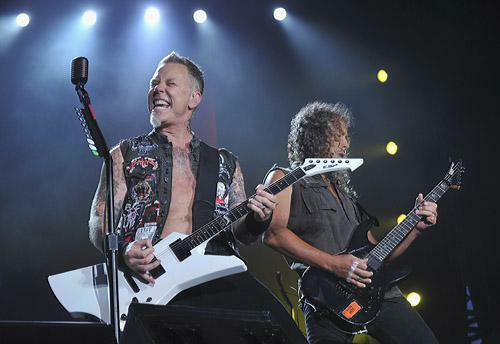 Two of the band’s members discovered heavy metal in part because they were given a Metallica album while studying in Iran, Reuters reported. They took a liking to the music, and said in an interview that living at war for a decade helped them connected with the heavy sound. The students told Reuters it’s less likely a heavy metal band would survive in southern Afghanistan, where the Taliban’s conservative values still have greater influence. However, that still contrasts with my experience this spring, in which Afghan troops wanted to hear any kind of American music they could get their hands on. It isn’t just rock music the Afghan troops were interested in, either. As I reported in May, a lance corporal in Sangin district connected with his Afghan counterparts in part by teaching them “The Dougie,” a hip-hop dance.